We’ve written many times about Massimo Bottura’s Refettorio Ambrosiano, the soup kitchen that has opened in Milan to serve those in need as well as to educate people on food and human nourishment in view of Expo Milan 2015. The Refettorio needs your help with donations and we believe that this is a really worthy cause and one worth promoting. 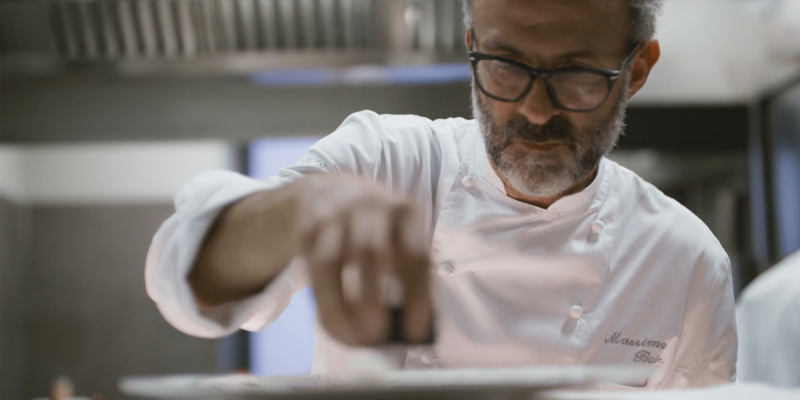 Over the coming months, 30 of the world’s best chefs will join the recently crowned number 2 in the World’s 50 Best Restaurants list Massimo Bottura to feed the poor using food that would otherwise be thrown away from the pavilions of the Milan Expo. Bottura has even created a dish, bread is gold, as a way of raising awareness about the project. It is a beautiful dish which will be served at the soup kitchen. It is not only a worthy cause which will feed Milan’s poor, but it is a perfect way to raise awareness about food waste with billions of tonnes of food being thrown away each year worldwide. The Refectory was once a theatre connected to the San Martino parish church in the Greco district of Milan, which dates back to the 1930s and which has been disused for quite some time. The space, with its beautiful architecture, has been completely renovated and converted into a refectory that is open to solidarity. The refectory is being run by the Archidiocese of Milan and Caritas Ambrosiana. It will seat a total of 90 people and will serve hot meals to those coming from Caritas parish counselling centres, its more targeted services and its Rifugio, or night shelter for the homeless at central station. You can donate using the following link.